Prior to ISIS, Islamist terror operated mostly in team plots. The ISIS has inspired more attacks than it has planned or carried out. It is extremely difficult to stop lone-wolf terrorists. Once they are into the act, then the damage might be controlled but it is almost impossible to prevent the act from occurring itself. With the rise of ISIS and its approach to terrorism, is the world staring at a defeat to Islamist terror? A precise answer to that cannot be given in simple “yes” or “no”. Prior to ISIS, Islamist terror operated mostly in team plots. A plan would be hatched, team assembled, materials procured, instructions given and so on. In all of this, information would be exchanged. One person would pass on some information to the other. This gave the intelligence and security agencies the chance to intercept it and prevent the plot from coming into effect. However, in 2016, in the time of ISIS terror, you have what are called ‘lone wolf’ terrorists. These are people inspired by the ISIS/Islamist ideology and who in a fit of devotion commit themselves to terror. The most notorious example of this from recent times was the San Bernandino attack in US in late 2015, where a couple, Syed Rizwan Farooq and Tafsheen Malik, attacked a healthcare event with assault rifles. No ‘mastermind’ hatched the plot. Nobody recruited them. The act wasn’t a part of a terror plot of any outfit. This couple had been consuming radical Islamist teachings over the years and the indoctrination culminated in the San Bernandino attack. How are the security forces supposed to prevent such tragedies? At what point can they possibly intercept information? In the San Bernandino case, it was still a couple operating. So there were still two people and the possibility of information being sent from one to the other existed. What of individual jihadis bent on doing something for the ummah? How is the state supposed to read the minds of people? And it is no secret that the ISIS has inspired more attacks than it has planned or carried out. There is no dearth of jihadi material on the web and even so, the ISIS has done a professional job at propaganda. That leaves us with a dangerous conclusion and some uncomfortable questions. The conclusion is that it is extremely difficult to stop lone wolf terrorists. Once they are into the act, then the damage might be controlled but it is almost impossible to prevent the act from occurring itself. In that sense, yes, the world does seem to be looking at a defeat to Islamist terror simply because we know that the next lone wolf act of jihadi terror is unlikely to be prevented. But prevented they must be. And that brings us to the uncomfortable questions part. By now you would have realised that the intelligence apparatus required to prevent lone wolf jihad is not possible in a world where political correctness has been stretched to absurdity. In the near future, states would be forced to choose between political correctness and the security of its citizens. And if they choose national security, that itself would be taken up by ISIS propagandists as yet another instance of the state discriminating against Islam and Muslims. So, attacks cannot be stopped. And there’s no ‘correct’ answer to the question about how they can. If one of the aims of Islamist jihadis was to make the rest of the world feel helpless, they’ve more or less succeeded at it. Why, despite having a Muslim population of 172 million, does India produce so few jihadis? The answer must lie in the cultural differences of Abrahamic religions and Indic ones, especially Hinduism. Even while we Indians fret about the rise of jihadi terrorism inside the country and in the neighbourhood, with both Pakistan and Bangladesh providing willing recruits, the reality is quite the opposite: even with a restive Muslim population of over 172 million, and despite the Islamist radicalisation of West Asia, Africa and enclaves of Europe, India probably produces the lowest number of jihadis in the world. The contrast with Europe, which has now become the epicentre of Islamist terrorism, with Brussels being the latest victim yesterday (22 March), is stunning. Belgium, with a population of 11 million, lesser than Mumbai or Delhi, produces 40 jihadis per million population – fighters who went to fight in West Asia’s two major wars, according to the International Centre for the Study Of Radicalisation and Political Violence (ICSR). In contrast, Pakistan, which is often seen as the fountainhead of global jihadism, managed to send less than three warriors per million. India is nowhere on the map of global jihad. Are we missing something here? Why, despite having a Muslim population of 172 million, nearly as much as in Pakistan (182 million), does India produce so few jihadis, and why does even Pakistan fare so well when compared to European jihadism? Similarly, why does Saudi Arabia, which is actually no different from ISIS (Islamic State of Iraq and Syria) in terms of ideological brutality, produce jihadists by the barrel, including the best known among them, the late Osama bin Laden? ICSR, in a January 2015 report, noted that between 1,500-2,500 Islamists from Saudi Arabia were fighting various jihadist wars in Iraq and Syria. The answer has to lie in the national culture. If both Europe and West Asia are generating a higher number of jihadis per capita despite following two different majority religions (Christianity and Islam), we have to look for what is common to them, not what divides. And we have to look for what differentiates the Indian sub-continent from Europe and West Asia. The answer must lie in the cultural differences of Abrahamic religions and Indic ones, especially Hinduism. Secularists don’t like mentioning the “H” word for anything good, but this is an important part of the explanation of why India produces so few jihadis, and Europe so many. Short staffing, communications problems, and institutional problems have plagued the country for years—and ISIS is taking advantage. That’s how Belgian Prime Minster Charles Michel described Tuesday’s attacks in Brussels. They point to the paradox at play in the tiny, divided Low Country nation: Ever since the Paris attacks in November 2015, Belgian counterterrorism officials have been on high alert, and yet they correctly worried that deadly violence was inevitable. While the details of the attacks remain to be discovered and reconstructed, there are still some hints of why it was so hard to prevent an attack. Belgium has long been a center for Islamist terrorism, but certain aspects of the state’s structure and relationship with Europe also made it difficult for the government to fight back. Thomas Joscelyn, senior fellow at the Foundation for Defense of Democracies and senior editor of The Long War Journal, echoed Michel’s point on Fox News Tuesday morning. The Paris attacks were carried out by a team that included Belgian nationals and residents. Belgium has a sizable Muslim population—roughly on par with that of other Northern European countries—but by some tallies has sent more fighters to join ISIS per capita than any other country in Europe. In Brussels’s Molenbeek neighborhood, the epicenter of Belgian jihadism, there’s high unemployment, an isolated Muslim population, poor education, and a lack of government services. These problems were not unknown before the Paris attacks. Belgium has grappled with Islamist terrorism since as far back as the 1980s, and various observers had voiced concerns about jihadism in Molenbeek and lack of policing prior to last November. In January 2015, for example, following attacks on Paris offices of the satirical magazine Charlie Hebdo, Belgian authorities launched a series of terrorism-related raids, sweeping up suspects. “The Belgian police may claim today to have ‘averted a Belgian Charlie Hebdo,’ but it’s clear that the country’s radicalization problem is much larger, and will take more than police raids to address,” Slate’s Joshua Keating warned at the time. From November 21 to 25, the enforcement expanded to the entirety of the city, with the capital effectively on lockdown. Schools and public transit closed. NATO and the European Union, both of which are based in Brussels, found their operations disrupted. A reported 1,000 officers combed the city in search of Salah Abdeslam, a suspect in the Paris attacks. But the dragnet failed to ensnare Abdeslam, who would not be caught until March 18. After that, officials eased up a bit on the visible enforcement. Local tourist authorities launched campaigns to convince would-be visitors that the capital was still safe and vibrant. At the same time, behind the scenes, Belgium was playing catch-up. The government worked to beef up its intelligence services, adding personnel and cash. The state’s intelligence community is believed to be smaller than those of its neighbors, accounting for size, despite the large jihadist problem, Reuters reported. Some analysts blamed the overstretched capabilities of Belgian counterterrorism officials for not catching and disrupting the Paris plot, even though many of the attackers were known to be linked to terrorism and had had scrapes with the law before last November. Then, in the wake of the November lockdown, Belgian authorities “made a series of seemingly contradictory announcements about the security situation,” The Guardian reports. “Belgian security services appeared—despite the quality of many individual officials‚ overwhelmed. It was revealed that a few hundred agents were supposed to watch over thousands of potential militants. ‘We are simply exhausted,’ one senior security official said in an email.” Belgian security officials told BuzzFeed’s Mitchell Prothero that practically every possible detective and investigator in the country was detailed to investigating jihad. But the problem is larger than simple staffing. Within Belgium, longstanding ethnic fractures create barriers to effective policing. And beyond Belgium’s borders, failures to share intelligence between European governments, and the staggering amount of intelligence noise related to possible terrorist plots, make policing extremely difficult. First, there’s the domestic dynamic. Not unlike the Middle Eastern states set up after World War I, Belgium is a a fragile artificial creation, riven between French- and Flemish-speaking citizens. A consequently weak federal government and distrust among different law-enforcement authorities are said to impede communication, investigation, and apprehension of suspected terrorists. It is also unusually easy to acquire guns in Belgium compared to its neighbors. Second, police agencies in different European countries do not cooperate effectively among each other. This creates special challenges, not only because terrorism is transnational but because Europe’s Schengen system makes it possible for people—including attackers—to cross borders with ease. Belgian officials had questioned some of the men involved in the Paris attacks prior to last November, but that information was never shared with French authorities. Since those attacks, European officials have been working to improve communication. Finally, as Joscelyn noted, there’s so much information reaching counterterrorism officials that it’s nearly impossible to sort through it all. “You talk about chatter, there’s just too much of it now, so you have all these officials across the world that are trying to neutralize these persistent threats,” he said. After months of relative quiet in Europe, there was suddenly fevered action on the terrorism front in mid-March. On March 15, police launched a raid in Brussels, apparently seeking Salah Abdeslam. After they came under fire, police shot and killed another man, who was later identified as Algerian Mohamed Belkaid. But Abdeslam once again escaped capture, although his fingerprints were detected in the raided flat. Three days later, police finally caught up with Abdeslam, trapping and wounding him in Molenbeek. Foreign Minister Didier Reynders said the only remaining participant in the Paris attacks was cooperating with investigators. Then, on Tuesday, twin attacks at the airport and a metro station struck Brussels, with ISISclaiming responsibility. Terrorism is an effective tactic around the world because it allows small groups of people to spread hysteria with relatively little manpower, and because it is impossible to prevent entirely, even in a police state. Where a devoted terrorist group exists, it is nearly inevitable its members will eventually succeed to some degree. But in Belgium, jihadists found a society that was unusually susceptible, and exploited it to bloody effect. The test-launch of an indigenously-developed, nuclear capable K-4 ballistic missile from a submerged platform in the Bay of Bengal, was a “roaring success,” according to an unnamed source within India’s Defense Research & Development Organization (DRDO), The New Indian Express reveals. The missile was launched from a submerged replica of a submarine, from water 9 meters (around 30 feet) deep. “The K-4 missile was fired at a depressed trajectory. Starting from successfully clearing the launch tube and breaking the water surface to stage separation and maintaining the ballistic trajectory, the missile achieved all parameters before zeroing in on the pre-designated target with high accuracy. The trial was stupendous and a copy book success,” the source explains. This presumably confirms that the missile has been tested at its full-operational range. The K-4 is an intermediate-range nuclear-capable submarine-launched ballistic missile with an alleged range of up to 3,500 kilometers (2,174 miles). During a previous test in March 2014, the K-4 was only tested to a range of 3,000 kilometers (1,864 miles). Technical details on the top-secret K-4 remain scarce. It purportedly is 12 meters (39 feet) long, weighs around 17 tons, can carry a nuclear capable warhead of up to 2 tons, and is powered by solid rocket propellants. DRDO scientists claim that the missile is highly accurate with a near zero circular error probability. According to publicly available information, the K-4 uses a Ringer Laser Gyro Inertial navigation system. The missile, capable of cruising at hypersonic speed, also features an “innovative” system of weaving in three dimensions during flight as it approaches its target. The vessel is based on Russian Project 971 Akula I-class nuclear-powered attack submarine. It is the lead vessel of the Indian Navy’s future fleet of four Arihant-class SSBNs. The submarine is equipped with four vertical launch tubes, which can be armed with either four K-4 missiles or 12—three per launch tube—K-15 missiles, another member of the K-series of missiles with a maximum range of 750 kilometers (466 miles). DRDO is purportedly also working on another variant of the K-missile with a 5,000 kilometer (3,106 miles) range. In Cormac McCarthy’s The Road, a touchstone of dystopian literature, men will visit violence upon each other for the sake of water to drink. The future, unfortunately, is now in Latur in Maharashtra’s Marathwada region where the collector has invoked Section 144 of the Criminal Procedure Code relating to unlawful assembly. His order prohibits more than five people from gathering near 20 water storage tanks until 31 May in order to prevent possible violence over water scarcity in the drought-hit area. This has been some time coming. Last year, the city’s residents were supplied municipal water once in 15 days; this was later lowered to once a month. In Punjab, meanwhile, the state Assembly has defied the Supreme Court to resolve that the Sutlej-Yamuna Link Canal (SYL) will not be built. With the Punjab Sutlej-Yamuna Link Land (Return of Property Rights) Bill, 2016, it has decided to deny Haryana its allotted share of the waters of the Ravi and Beas rivers, reneging on a 1976 deal. The consequence: half of the state receiving canal water for eight days after every 32 days, with the state’s southern regions particularly hard-hit. India’s escalating water crisisThe specifics are different in both cases. But there are two common inefficiencies that reflect upon India’s burgeoning water crisis—political and agricultural, the latter deriving in large part from the former. Maharashtra’s sugar belt—which includes Marathwada—declared record production of the crop in 2014-15, a year in which it also faced a second drought after 2012-13. The problem: sugarcane is a water-guzzling crop, consuming over 70% of irrigated water, although it occupies just about 4% of farmed land in the state. That discrepancy hasn’t stopped successive state governments from bailing out the sugar industry time and again with subsidies and loan waivers, short-circuiting market dynamics and incentivizing sugarcane production. This must be seen in the context of the sugar lobby’s political influence and the involvement of a number of state politicians in the industry. The SYL presents a different kind of opportunism. The issue, framed in populist terms, has been used as a political football since the days of the Khalistan movement. That legacy has shaped the terms of the debate, particularly in light of Punjab’s crop patterns; water-intensive rice crops cover over 60% of the state’s area under cultivation. That makes it easy to portray any inclination to honour the SYL agreement as being anti-farmer, the kiss of death in Punjab’s politics. On this morning of March 22, 2016, the long tail of terrorism once again struck Europe. Less than a week after Belgian authorities arrested Salah Abdeslam, one of the Paris attackers, explosions have shaken multiple transportation hubs in Brussels, Belgium. At the time of this writing, two bombs have detonated at the Brussels airport and a separate bombing has occurred at the Maelbeek subway station. While the dust has yet to settle in Brussels, it appears more than two dozen have died from multiple blasts. The Brussels bombings, a major attack coming only months after Paris and days after the arrest of Abdeslam in the Molenbeek district of Brussels, confirms that Europe has a major terrorist problem in its midst. Timing and Techniques: Is this the work of the Islamic State? Few facts have emerged since the bombings. But the timing and techniques utilized in today’s attacks suggest that the same network that perpetrated the Paris attacks in November likely orchestrated this massacre. Last week, Belgian authorities arrested Abdeslam in the neighborhood where he grew up. He was the only surviving perpetrator of the Paris attacks and he eluded authorities for more than four months. Two other suspects allegedly escaped when Abdelslam was caught. Logically, one might assume this attack occurred in response to the Abdelslam arrest. Abdelslam’s terrorist facilitation network, having watched the arrest of their comrade, likely assumed law enforcement would continue rapidly pursuing any additional leads produced by intelligence gained during last week’s arrest. The choice for those still at-large in the network is to either go-to-ground and elude authorities or immediately accelerate any potential plot or plots currently being prepared. The speed at which this attack occurred suggests that the network had likely been preparing for this attack in some manner for many weeks or months prior to Abdelslam’s arrest. The similarity of the attack to Paris, using suicide operations against soft targets, and the speed at which it was executed in relation to a Paris connected arrest suggest the Islamic State, either directly or through its network, is involved. The social media app Telegram is already littered with Islamic State propaganda stemming from the attack. The failure to detect and interdict the Paris attacks in November seemed to point to a problem of capacity. European countries, having stood by and watched for years as their angry boys were radicalized and recruited into the Islamic State in Iraq and Syria, seemed to have far too many terrorism suspects and resulting leads to manage. The volume of potential terrorists to cover seemingly exceeded the capacity of European authorities. In November, I discussed the “Iceberg Theory” of terrorist plots, where for the eight to ten Paris attackers, “we should look for two, three, or possibly four dozen extremist facilitators and supporters between Syria and France.” Today I suspect we are seeing more of Europe’s terrorism iceberg. Last week’s arrest of Abdelslam and today’s failure to detect and disrupt a major terrorist attack similar to that of Paris suggests a far more ominous counterterrorism problem in Europe — incompetence. Belgian authorities arrested Abdelslam in Molenbeek, an area swept repeatedly by counterterrorism authorities in recent months. The arrest of Abdelslam should have immediately triggered an intense buildup in law enforcement activity to disrupt a likely retaliatory attack. Additionally, today’s attacks at the airport and in the subway system used suicide missions armed with explosives. The use of explosives suggests that a significant terrorist facilitation network likely remains in Europe empowering attacks al Qaeda always dreamed of executing but for which they lacked the operational support capability. Belgium, a smaller European country, appears to have both a capacity and competency problem with regards to counterterrorism. Other small European countries, such as Denmark and the Netherlands, have also been home to large concentrations of foreign fighters who have gone to Syria and Iraq. Do they have the same counterterrorism capacity and competency problems as Belgium? Ten years ago following the London subway bombings, analysts feared the potentially deadly consequences of disaffected European diaspora communities providing safe harbor to returning terrorist foreign fighters (Bleed Out) and inspired young boys. Al Qaeda never successfully mobilized these disaffected young boys to execute a string of attacks on Western targets. Today, the Islamic State’s current and former foreign fighters have come from these disaffected communities on a scale several fold larger than the numbers produced during al Qaeda’s heyday. In the coming months, the Belgian and European response to the wave of Islamic State networked and inspired attacks will likely influence the future of the Islamic State as it loses ground in Syria and Iraq. Will these attacks provoke a heavy backlash against already disaffected diaspora communities further empowering the Islamic State’s message? Will they further push European countries to resolve the Syrian conflict to stem refugee flows and apply increased pressure on the Islamic State? Will they finally bring about needed intelligence sharing and counterterrorism cooperation between European countries? The Paris attacks were treated as an investigation, one pursuing a network associated with a single plot. Brussels on top of Paris demonstrates that this as a Europe-wide issue requiring a unified and coordinated response. As the smoke still rises over Brussels, counterterrorists around the world must again pick up their intensity. The Paris attacks triggered a wave of Islamic State affiliate and networked attacks on three continents, provoked competitive attacks from al Qaeda in the Islamic Maghreb (AQIM), and inspired lone wolves and small cells in Philadelphia and San Bernardino. Brussels, like Paris before it, may likely create the same phenomena. Any plot(s) in either the Islamic State or al Qaeda’s network may very well be accelerated. Any inspired wannabe from afar may see today’s media attention as the final motivation to undertake violence. For the Islamic State success breeds success. Can the world’s counterterrorists stop this trend? Clint Watts is a Robert A. Fox Fellow at the Foreign Policy Research Institute. 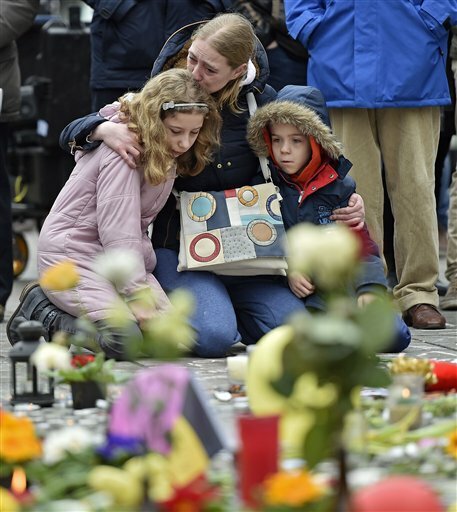 BRUSSELS (AP) — Belgians began three days of mourning Wednesday for the victims of the Brussels airport and subway bombings, and the country remained on high alert as authorities hunted for one of the suspected attackers seen on surveillance video with two others who blew themselves up. He said authorities do not know the identities of two other people pictured with El Bakraoui in a surveillance photo from the airport that police are circulating. Contributing to this report were Associated Press writers John-Thor Dahlburg, Raphael Satter, Danica Kirka and Angela Charlton in Brussels, and Lori Hinnant and Elaine Ganley in Paris. Could Lockheed Martin’s iconic F-16 Fighting Falcons one day be rolling out of factories in India? As it stands right now, the F-16 production line will shut down by the end of 2017 without any further orders—which is one reason the Obama Administration pushed so hard to sell Pakistan eight new Fighting Falcons in recent days. Once that happens, the only active production line at Lockheed’s Fort Worth, Texas, plant will be for the stealthy F-35 Joint Strike Fighter. But with the fate of India’s deal to purchase Dassault Rafale fighters from Franceuncertain, there might be a window of opportunity for American manufacturers to move in for the kill. Boeing had previously expressed interest in producing the advanced F/A-18E/F Super Hornet in India. However, Boeing is not alone—Lockheed, too, is interested in a similar arrangement for the F-16IN Block 60 version of the Fighting Falcon. That’s a configuration similar to the UAE’s F-16E/F Desert Falcon. While there are no firm details, according to the Hindu, Lockheed expressed interest in setting up an Indian F-16 production line at the 2016 Singapore air show earlier this year in February. However, setting up an Indian production line would require far deeper military-industrial cooperation between Washington and New Delhi than exists today. The U.S. government has been courting India as means to offset China’s growing influence in the region—so a deal is not outside the realm of possibility. Boeing’s F/A-18E/F might have an edge over the Fighting Falcon because Pakistan operates versions of the F-16. New Delhi might not want to operate the same type as one of its primary rivals. The F-16IN with its active electronically scanned array radar—either the APG-80 or perhaps the APG-83—advanced electronic warfare suite, sensor pods and vast array of weapons would be amongst the most capable versions of the Viper ever built. The aircraft supplied to Pakistan are not exactly top of the line—featuring mechanically scanned APG-68 radars and older avionics, due in part to the potential for technology loss (Islamabad is closely aligned with Beijing). Nonetheless, the Super Hornet—which also comes in the EA-18G Growler electronic attack variant—might prove to be a more attractive option. New Delhi has a track record of failed acquisitions programs—indeed, the long running effort to recapitalize the Indian Air Force is but one example. It is entirely possible that New Delhi could bungle a potential deal with Boeing, Lockheed Martin—or Eurofighter, should Airbus want to take another shot at the Indian market. In that case, the Indians might be better served continuing production of the Sukhoi Su-30MKI. However, either the Super Hornet or F-16 would greatly enhance India’s air warfare capabilities. After consistently running into the Pakistan firewall, India wants its South Asian satellite project to take off on a sub-regional basis, again showing how issues between the neighbours could derail regional initiatives. At the group’s annual summit in 2014, Prime Minister Narendra Modi announced India would fund and launch a SAARC satellite that would help countries of the region in education, health and emergency communication during disasters. Since then, Pakistan consistently raised concerns that the satellite would help India access information on its vital installations as well as resources. With little hope of a consensus, senior Indian officials said New Delhi would now have to look at a policy by which it could go ahead with the project with willing countries while waiting for Pakistan to come onboard. That would be akin to how India has moved on a regional road connectivity project after Pakistan refused to join the initiative under the SAARC rubric. India had gone ahead with connectivity plans with countries with the Bangladesh, Bhutan, India, Nepal (BBIN) initiative in a bid to bypass the neighbour. “The reason for Pakistan’s objection to the satellite is political. We need to move on with the project, hoping Islamabad has a change of heart sooner rather than later,” said an Indian official. The SAARC agenda works on the principle of consensus and issues between India and Pakistan have interfered in regional integration. An Indian official differed. “From day one, PM Modi made it very clear: it is a gift from India to SAARC countries. Subsequently, we sent out the concept paper of the project, where he stressed that this project is ‘voluntary’ in nature.” The SAARC satellite will have 12 transponders to cover the region. Both Bangladesh and Sri Lanka have announced their intention to join the project, though they raised a few issues. Ariel Sharon was revolted by the quiet, diplomatic manner of the Mossad as led by Efraim Halevy. He asked to appoint a new director “with a dagger between his teeth”, as he explained to one of his associates. Meir Dagan was exactly what Sharon was looking for. The Prime Minister apparently saw himself in Dagan, who was younger by a generation, when he met him at the end of the 1960s in Sinai. At that time, he appointed Dagan to head the secret assassination unit, Zikit (Hebrew for chameleon the code name for the commando unit Rimon - ed. ), which operated with great success against the PLO in the Gaza Strip. At the time of Dagan’s appointment to head the Mossad in 2002, I met Sharon and asked him if he really believed that Dagan—who had a reputation for being a daring fighter but also a wild card with a trigger finger—would bring the Mossad back to its glory days. Sharon replied that he had no doubt about Sharon was well aware of Dagan’s character and abilities, and he considered that he would provide the Mossad with the daring, professionalism and aggressiveness that it was lacking. In that respect, he was right. Dagan completely changed the Mossad, and in a short period of time he instilled a new spirit of initiative and achievement into the organization. In a series of conversations that have yet to be published held in 2013, he spoke respectfully of the Mossad heads who preceded him: “They each did the best they could.” Somehow, coming from him, it didn’t sound like a compliment. Dagan decided to take the Mossad apart and to put it back together according to his own design. In his estimation, he had “the highest legal responsibility” to protect Israeli citizens from a series of dangers and threats. To avoid those dangers, Dagan turned the Mossad into an organization which primarily gathered information. These operations entailed sabotage and the physical elimination of the enemy. Dagan began to frequently visit the Prime Minister’s office to obtain authorizations, and he doubled the amount of operations undertaken compared to his predecessor. A senior official in the Mossad at that time said, “Those were days of hysteria. Dagan would get to work early in the morning, and he wouldn’t stop screaming at everyone that they are not producing the goods and that they are worthless until the evening.” Mossad agents throughout the world, who were used to seeing the director once every few years—if at all—suddenly saw Dagan appear at their doorstep three or four times a year. Dagan understood the organizational disorder that ensued when department heads considered the director’s orders as mere recommendations that one could evade, so he changed the inner hierarchy of the Mossad, making the operational departments answerable to one deputy and all the other departments to a second deputy. They—and only they—had to report to Dagan, and he didn’t back down on this. Another change was reducing the list of goals. According to the Israeli intelligence community’s internal procedure, at the end of each year, he Directorate of Military Intelligence’s (AMAN) Research and Analysis branch gives grades to the various intelligence-gathering bodies based on whether or not they achieved their goals. Water is a finite resource, but the demand for it is not. As water supply dwindles to its limit, potential conflicts are brewing between countries that share transboundary freshwater resources. Is the world equipped with the means to prevent the eruption of such conflicts? This paper examines how South Asian co-riparians can re-imagine their water relations, encourage cross-boundary cooperation, and aim to mitigate the ill impacts of what has historically been a haphazard water management system. The United States must stop dialing 911 to an already stretched military to solve all problems. The nation needs a quarterback to organize the remaining muscle of a $4 trillion government, an army of nonprofits, the brainpower of universities, the engine of the private sector and networks of state and local governments that are now left untapped or underutilized in crises. The chaos in Syria is prompting some to look to federalism as a solution. But that's a word that peace negotiators have every reason to avoid. We need new thinking in leadership to affect whole-of-society solutions — those difficult moments when the U.S. government and private sector should come together to prevent crises, when possible, and to respond effectively, when necessary. We need leaders who maintain constant focus on our national security goals and develop a strategic vision to achieve them. Ultimately, we need the whole of government and society to function more efficiently and deliberately. To do this, Congress and the White House must revise the 1947 National Security Act to create a National Security Council that establishes itself as the U.S. government’s prime strategist for domestic and international challenges. We envision a council with a fluid membership that cuts through the bureaucracy and makes the government work because its leaders have the statutory authority to require cooperation and the leadership abilities to execute their plans. To be clear, we are not calling for a larger NSC; instead, we seek a more effective organization that inspires whole-of-society solutions. Nor do we want the federal government to assume roles that clearly belong to state and local governments. However, when facing certain domestic challenges, this newly empowered NSC must coordinate closely with state and local officials to utilize the tremendous resources available from the federal government and society more broadly. The 14 active duty and retired military leaders of the Arizona State University Flag Officers Advisory Council have significant experience in the conflicts in Iraq and Afghanistan and issues at home. We have seen firsthand the urgent need to cut through turf wars and agency cultures to improve the United States’ strategic position. As the 1986 Goldwater-Nichols Act compelled the military to reform its command structure and work together, we must reimagine the National Security Council as a more effective interagency leader to make the whole of government responsive and better equipped for the increasingly complex threats the nation faces today. The crisis in Syria begs for such an approach. We need a government organization that can create a strategy to bring the world together to end conflict while enhancing the United States’ strategic position in the Middle East. This approach must include a modern day Marshall Plan to rebuild the region and help the Syrians recover from a decade of conflict. Experts inside and outside government must be brought in to share their expertise, including from ASU and other like-minded universities that are focused on solving international conflict. In reality, our money and our military have been used far too often to attempt resolution of crises — in Syria, Russia, China, Iraq, Afghanistan, and elsewhere — rather than more readily employing all of our national power in support of a clear strategy. We believe a modernized NSC must develop that strategy and extensively coordinate the use of our national capabilities. Making cities resilient against man-made crises and natural disasters is the key to the twenty-first century. The task of securing global cities is becoming a crucial challenge of our day. Already, half the world’s population lives in urban areas; by 2050, the UN predicts over two-thirds of the world’s population will do so. These cities face threats not only from Al Qaeda, ISIL, the Taliban and like groups, but international drug cartels, human trafficking networks, arms traffickers and street gangs. Scale is a major contributor to this complexity. As cities grow, their vulnerabilities grow—often in nonlinear ways. A megalopolis of 20 million does not simply face ten times the challenges of a city of 2 million. Whole new patterns often emerge, largely because size creates opportunities for criminals and extremists through anonymity in the large and often weakly governed spaces that emerge in these massive places. Another factor is resource scarcity. As populations (and population density) increase, resources for emergency services don’t always keep up. In 2013, for example, Nairobi had a population of 4 million—and a single working fire truck. Water is increasingly scarce, partly due to climate change effects as well, in large swaths of the Middle East and Africa. In many places, urban migration is marked by the poorest and most vulnerable in society moving into huge slums, not well-heeled neighborhoods. At the same time, urbanization means that cities are a key engine of global economic growth. Trade, foreign direct investment and globalization enhance prosperity. But the same movements of people, goods and ideas also create vulnerabilities and make it imperative that metro areas collaborate on security. That’s why, together with colleagues at Brookings and JPMorgan Chase, we have launched Securing Global Cities, a project of the Global Cities Initiative, a joint effort by Brookings and JPMorgan Chase. Our year-long project is just beginning, but a few principles are already emerging. First, like counterterrorism and counterinsurgency, the security of cities involves far more than armed forces. Not only military, intelligence and law enforcement organizations, but also law and criminal justice systems, schools, businesses and NGOs are crucial players. Cities need to coordinate how they handle immediate crises, how they anticipate and preempt future challenges, and how they improve conditions in places that are breeding grounds as well as transportation and communications hubs for the world's criminal and extremist movements. Second, most of the world's natural disasters of the last twenty years, as terrible as they have been, have affected “finite-sized” populations—the Haiti earthquake of 2010, the Japanese tsunami of 2011, the Philippines typhoon of 2013, the Ebola outbreak in West Africa in 2014, and recent Pakistani and Nepalese earthquakes. Even the terrible tsunami of 2004, as tragic as its effects were, primarily demolished small cities and fishing villages in Indonesia and South Asia. The next “big one” could hit Karachi or Lagos or Rio or some other city with multiple times as many people. Even those cities that may seem to have the capacity to handle a future disaster or other type of security challenge on their own could be overwhelmed if their infrastructure fails and millions are left in the dark or cold, without water or food or medical care. Major natural disasters could easily hit cities already engulfed in various kinds of violence. The financially hurting government of the Northern Territory was happy tolease it to a Chinese company in October for the bargain price of $361 million, raising money for local infrastructure projects. Mass capital outflows continue despite stymied Beijing’s efforts to boost the economy. Expect the yuan to tumble. The Chinese are moving record amounts of money overseas or purchasing foreign companies and assets. After initial declines in the Chinese market to start the year, the past few weeks have seen signs of what some would call a rebound. Lending in China rose by 67% in January, iron-ore prices initially rallied by 64% and housing sales in the top four markets surged. 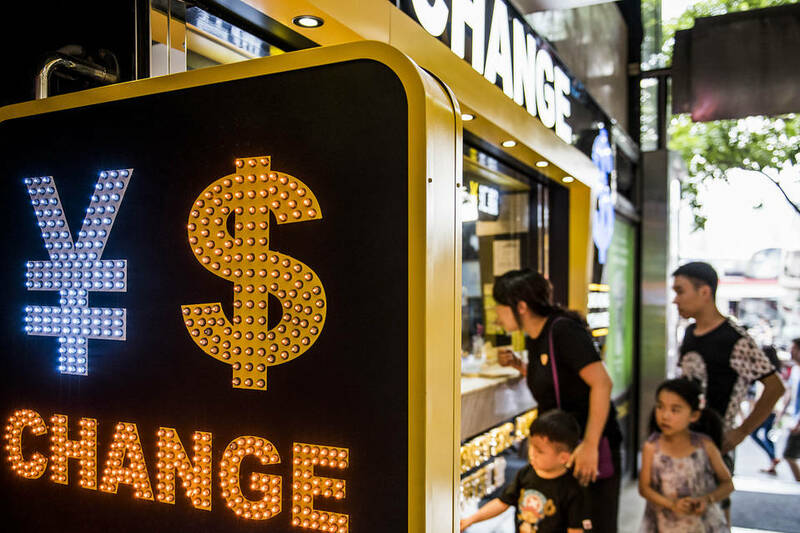 The yuan gained back half of the nearly 7% it had lost against the dollar since November, sending hedge funds that had shorted on the currency running for cover. And yet there remains no sign of life in the underlying Chinese economy. More than $800 billion in credit that had been pushed into the economy in January failed to boost production or increase sales. Producer prices remained negative, dropping 5.1% in January-February, while the manufacturing PMI fell to 48 in February from 48.4 in January, indicating worsening contraction. That’s because the rally was the result of a coordinated government effort to restore confidence in the China Dream of limitless growth at home and glory abroad. The market, apparently, isn’t so easily convinced. From hiding capital outflows to propping up real-estate values, manipulating futures markets and squeezing short-sellers of the yuan, Chinese authorities have been trying to bring back the old, quasisuperstitious belief in Beijing’s omnipotence. But the political desperation behind these efforts betrays a different story: that an impending currency crisis is a signal of the dream’s undoing. That’s why in China getting money out of the country is now the major preoccupation of both families and corporations. Risk-averse individuals are trading out of the wealth-management products they used to buy for 10% yields and moving their money to safety in the U.S., Australia, Canada and Europe. Chinese companies are making extravagant bids for overseas assets such as General Electric’s appliance division, the equipment maker Terex Corp., the near-dead Norwegian web browser Opera, the Swiss pesticides group Syngenta, technology distributor Ingram Micro and even the Chicago Stock Exchange. As the Russian drawdown from Syria continues, more information continues to emerge about the forces Moscow had committed to shoring up the Assad regime. One telling aspect is how involved Russia’s Spetsnaz special forces were in the deployment. They were involved in two of their three core missions — reconnaissance and special security missions — but not the third, direct combat operations. The implication is that from the outset of the deployment, Moscow planned to minimize its exposure in this messy and bloody war. As one would expect, there had been Russian special operations forces in Syria even before the formal Russian intervention in September 2015, largely to provide training for their Syrian counterparts and enhanced security for the Russian embassy and other facilities. The Zaslon force of the Foreign Intelligence Service, for example, deployedsome of its men in their usual role of reinforcing regular embassy security. As Russia began its deployment, Army Spetsnaz were involved in securing the Hmeimim airbase at Latakia and Tartus naval facility, and subsequently in providing some limited reconnaissance to assist in the targeting of airstrikes. The majority of targeting sets came from the Syrians (which may help explain the concentration not on Islamic State but on other rebel groups posing a more immediate threat to the regime), but Spetsnaz appear to have been involved in the fighting on the ground around Aleppo in January and February. As more Russian forces arrived, so too did more Spetsnaz from GRU (military intelligence). At the peak of the deployment, there was an otryad (detachment, the Spetsnaz equivalent of a battalion) of 230-250 men, probably drawn from several units, including Naval Spetsnaz from the 431st Naval Reconnaissance Point (or brigade). There was also a team of operators from the newly formed Special Operations Command (KSO), mainly snipers (or rather counter-snipers) and scouts. Indeed, the Conflict Intelligence Team, a civilian group that investigates Russian operations abroad, uncovered the first death of a KSO operator in Syria: Captain Fedor Zhuravlev, whose death in November 2015 was eventually confirmed this March. In Syria, the Spetsnaz appear to have engaged in or been prepared for two of their three primary missions. The core mission is battlefield reconnaissance, which in Syria especially involved guiding Russian artillery fires and air strikes. The second mission is carrying out special security missions. From Zenit to the KSO, they were conducting force protection missions in an environment where the threat from terrorism was as great as conventional attack. Spetsnaz may have already been in Damascus as a contingency in the event of the regime collapsing. This would not be too surprising, as Zaslon is believed to have been tasked with “clean up” in Iraq in the immediate aftermath of the fall of Saddam Hussein, removing documents or other materials Moscow did not want falling into U.S. hands. In other words, this would not be a new mission for the unit, if this is true. America's foreign policy establishment has aligned itself with an ultra-conservative dictatorship that often acts counter to US values and interests. Why? There was a moment almost exactly one year ago, in March 2015, that revealed some uncomfortable truths about America's relationship with Saudi Arabia. That month, as Saudi Arabia prepared to launch what would become its disastrous war against Shia rebels in neighboring Yemen, the Saudi ambassador in Washington, Adel al-Jubeir, brought a list of "high-value targets" to CIA Director John Brennan. The Saudis were asking for American support in the war; the list was meant as a show of cooperation. But when US intelligence agencies checked the list against their own information, they found that many of the targets had little or no military value, according to a report at the time by the Wall Street Journal's Maria Abi-Habib and Adam Entous. Many were civilian structures in or near population centers. The US warned Saudi Arabia off the targets, and Saudi officials said they complied. But when the air war began, Saudi bombs fell heavily on "hospitals, schools, a refugee camp, and neighborhoods," according to the Journal. The US initially held back from the war. But soon, in an apparent effort to purchase Saudi acquiescence to the nuclear deal with Iran, the US substantially increased support for the Saudi-led campaign, providing midair refueling, weapons and supplies, targeting information, and 45 dedicated intelligence analysts. A year after the war began, it is now a disaster, as detailed in a New York Times account. Half of the 6,000 casualties are thought to be civilians; al-Qaeda's hold in Yemen has strengthened; Saudi Arabia has failed in its objective to force the war's end, instead only exacerbating the ongoing violence. The US has helped Saudi Arabia to accelerate the implosion of another Mideast state, with unknown but surely far-reaching implications. You would think that Washington's foreign policy community — a close-knit network of think tanks, academic outfits, and other institutions that heavily influence the media and whose members frequently rotate into and out of government positions — would be outraged. That community is overwhelmingly focused on the Middle East, prides itself on high-minded humanitarian ideals and far-thinking strategy, and is often critical of President Obama's foreign policy. "Frankly, think tanks are a very good investment for these guys. It's a low-cost, high-value proposition." But aside from a few dissident voices, the Washington foreign policy community has been relatively quiet on America's involvement backing Saudi Arabia's war in Yemen. Instead, this week, much of that community expressed outrage over a very different story about the US relationship with Saudi Arabia: Obama, in an interview, had seemed to deride the Saudi leadership and its influence in Washington. "Free riders aggravate me," Obama told the Atlantic's Jeffrey Goldberg, apparently referring to European and Arab allies generally. He criticized Saudi Arabia's treatment of women and its practice of promoting fundamentalism abroad; he suggested it would have to learn to "share" the Middle East with its adversary, Iran. Also in the story, administration officials anonymously described Washington, DC's Massachusetts Avenue, where many think tanks have their offices, as "Arab-occupied territory," implying that they are doing the bidding of oil-rich Gulf states such as Saudi Arabia, which provide those think tanks with heavy funding. Whereas Obama's material support for a disastrous Saudi-led war had drawn little protest in Washington, his words of muted criticism for Saudi Arabia provoked days of sustained outrage. His comments were denounced as "play[ing] the blame game"; "betraying a grievous misunderstanding of what it means to be the world’s No. 1"; "the mark of a careless and clumsy amateur"; "turn[ing] allies overboard";"overweening arrogance"; blaming others for his own failures; comparable to Donald Trump; and so on. The moment was just the latest manifestation of something strange about Washington's foreign policy community: It is deeply, viscerally committed to defending and advocating for the Kingdom of Saudi Arabia, a country whose authoritarian government, ultra-conservative values, and extremist-promoting foreign policy would seem like an unusual passion project for American foreign policy professionals. ON MARCH 18th, as part of an agreement to stem the influx of refugees from the Middle East, the European Union endorsed Turkey as a “safe” country for asylum seekers—a necessary precondition for sending migrants back there under international law. The following day, a suicide bomber killed at least five people, including himself and four foreigners, on Istanbul’s most popular pedestrian shopping street (pictured). Turkey has now endured five big terror attacks since October, at a cost of nearly 200 lives. Residents of Turkey would therefore disagree with the EU’s assessment: the country no longer feels safe for anyone. No group has stepped forward to claim responsibility for the latest bombing. The day after the attack, officials identified a Turkish member of Islamic State (IS) as the perpetrator. IS has been quick to take credit for atrocities elsewhere, from Jakarta to San Bernardino. But it has yet to do so for any attack by its sympathisers in Turkey, including a double bombing that killed 102 people in October. Distressingly, the list of other possible suspects has grown longer over the past year. In neighbouring Syria, Turkish-backed proxies are fighting the regime of President Bashar al-Assad, his Russian allies, and the People’s Protection Units (YPG), a local affiliate of the Kurdistan Workers’ Party (PKK). Turkish forces have shelled the YPG directly. As the terror attacks continue, officials in Ankara have pointed to all of the above as possible culprits. A Turkey that once tried to play firefighter in Syria is slowly being consumed by its flames. Yet the biggest threat to Turkey’s security is homegrown. An urban insurgency waged by the PKK across the country’s southeast, accompanied by a ruthless crackdown by Turkish security forces, has left more than a thousand people dead, including some 300 civilians. With the army deploying tanks and artillery fire against rebels armed with RPGs and machine guns, entire neighbourhoods have been shelled out of existence. Losing ground in the southeast, the PKK appears to be turning its firepower on soft targets, including civilians, in the country’s west. In the past two months, terrorist attacks claimed by one of the group’s offshoots have killed 65 people in Ankara, the Turkish capital. A senior PKK commander has warned that “at this point in the struggle” his militants are poised to fight by any means necessary. Amid the blowback from Syria, the increasingly radicalised Kurdish insurgency and a mounting crackdown against academics, journalists and politicians suspected of PKK sympathies, Turkey risks sinking further into a cycle of repression. The best (if still fragile) hope of escaping chaos may lie in the new deal with Europe. In exchange for a commitment to accept migrants sent back from Greece, Turkey has wrested a number of big concessions from the EU. These include visa-free travel, a substantial political prize, as well as €6 billion ($6.8 billion) in aid for the refugees Turkey harbours. They also include opening a new chapter of Turkey’s long-stalled talks on joining the union. Optimists argue that the strong conditions attached to the promise of visa liberalisation will bring Turkey back into the EU fold and help stem its descent into authoritarianism. There is at least a chance that rebuilding bridges with Europe may rein in the authoritarian instincts of Recep Tayyip Erdogan, Turkey’s president, and embolden the few reformists left in his government. Signing trade agreements is not enough. Only with a robust national competitiveness agenda will America continue to lead in the global trading system. Imagine the men or women of America’s national basketball teams getting ready for the best competition the world can offer this summer at the Olympic games in Rio de Janeiro. Now imagine that, instead of training in high-quality gyms, the players have to make do on cracked blacktops with broken backboards and rims without nets. And rather than having top-notch coaches like Duke University’s Mike Krzyzewski and the University of Connecticut’s Geno Auriemma, they are stuck with a parent whose only previous experience came in shepherding their kid’s 6th-grade rec league. We’d be lucky to win the bronze. Thankfully, that is not how we do things when it comes to Olympic sports. But it’s not a bad analogy for the casual way we compete in the global economy. While America has one of the most open economies in the world, we stubbornly refuse to “train” by adopting a robust national competitiveness strategy. No wonder we have racked up a trade deficit of more than $6 trillion over the last decade while losing one-third of our manufacturing jobs since the turn of the 21st century. And no wonder an increasing share of Americans no longer support new trade agreements, or that candidates such as Donald Trump get showered with applause when they say they will roll back existing pacts, such as the North American Free Trade Agreement. If you don’t train, you can’t win. If policymakers want Americans to once again support trade and globalization – as they should, because it’s ultimately in almost everyone’s best interests – then they have to give the country more than empty promises and happy-talk bromides about why trade is good. Only when we start training for the global competitiveness race will Americans view trade as something that’s good for everyone. The country’s lack of preparation for global competition isn’t middle America’s fault; they understand there’s a problem. It lies in the failed “Washington Economic Consensus,” so named in 1989 by economist John Williamson to describe 10 specific economic policy prescriptions that institutions such as the World Bank and the International Monetary Fund should impose on developing nations – and it has become the de facto view about what the United States also should do internally.